The Wildcats are warmed up and ready to play ball as their regular season doubleheader opener against Jellico is just days away. 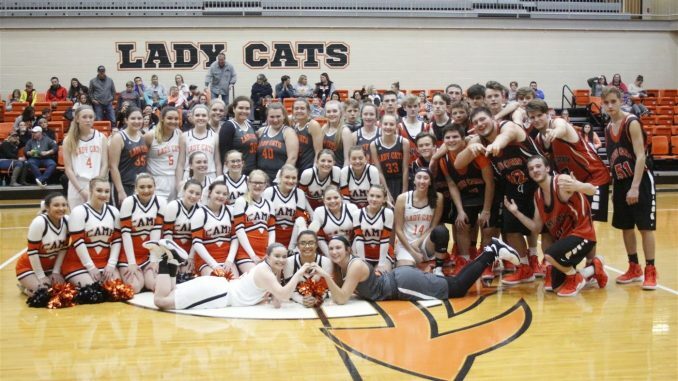 On Friday night the boys and girls teams showed their tricks and talent as they performed scrimmage like games for Wildcat fans. 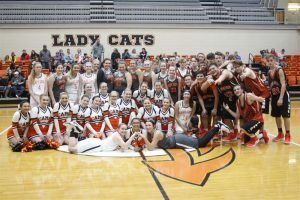 The cheerleaders, geared up with their own unique stunts, were proud to take center court and prep fans for what will be an exciting season to cheer on the Cats. Photos from Meet the Cats are online at https://photos.app.goo.gl/FwnpbpakcNrdLC7q6. 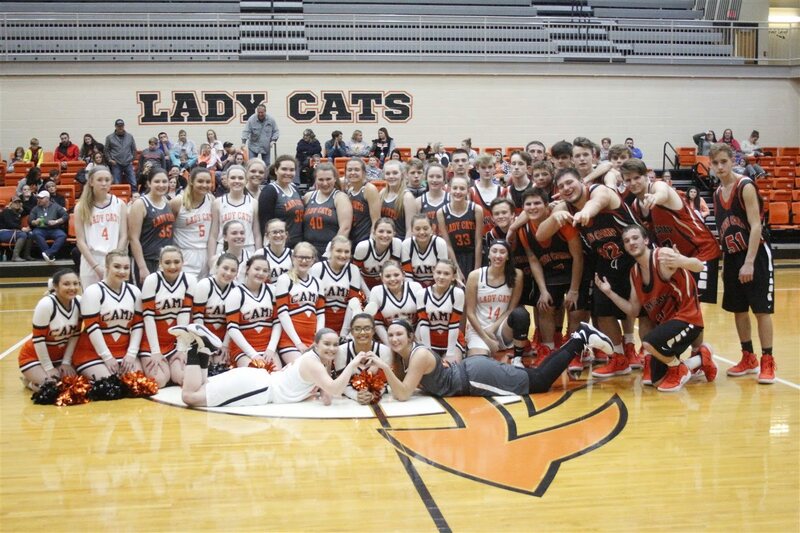 The home season opener against Jellico is Tuesday, November 27, with the Lady Cats playing at 6 followed by the boys team at 7:30. Special thanks to KCPS employee Martin Goley for providing pictures of the event and future Wildcat highlights throughout the basketball season.